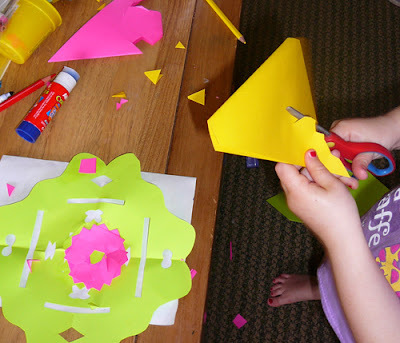 Hey this might sound stupid but I forgot how to make a paper snowflake. I know, I know, so easy right, well it took a little lesson on a kids television program (I have no idea what it was called, I have never seen it before) to remind me. Cakey and I are watching a lot of television at the moment as we are stuck in the hotel (we are on hols) when Boo has her nap. It can be a bit boring so this little lesson was very timely. We made snowflake after snowflake after snowflake, so fun! I made a diagram in case there is somebody else out there, who like me, has forgotten how to make a snowflake. Start with an A4 sheet of paper, fold to form a triangle (1) and cut off the excess so you have a square folded into a triangle (2) and then fold again (3). 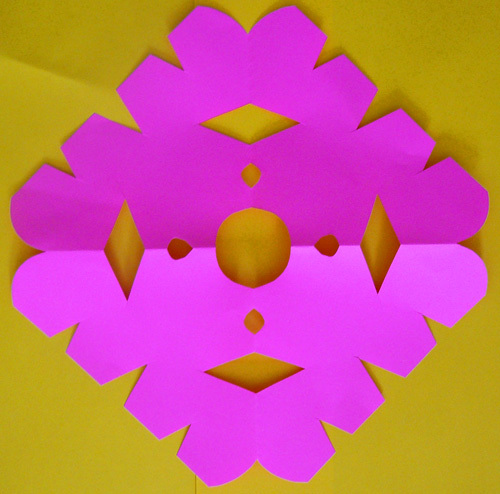 Now for the fun bit - cut any sort of shapes you want (4) and unfold to reveal your unique snowflake. 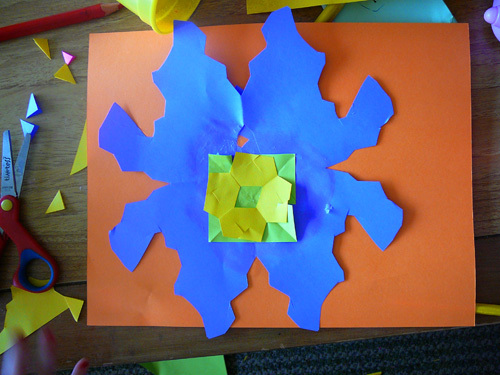 Once I got the hang of this, we tried making small snowflakes too. I did all the folding and Cakey cut out most of the shapes and patterns. Using her glue stick she then created snowflake pictures by laying snowflake upon snowflake. These snowflakes would make great Christmas decorations particularly if you use silver or blue paper rather than the fluorescent paper that we had on hand. NOTE: Ha ha I am having a good laugh at myself because my mother in law has just emailed to say that all snowflakes have six sides so I actually needed to fold my paper one more time. Whoops! Anyway as she rightly pointed out, little fingers would not be able to cut through the paper folded three times – it would be too thick. I am so glad to see these instructions because I forgot how to make them too. Thanks Rebekah, I am glad I am not the only one. Another great Christmas craft on my list of things to do. snowflakes are some of my favorite things to make. So sorry for the late reply. I am behind on everything. 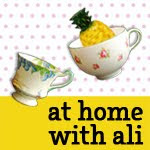 I am so glad you shared last week on Monday Madness.